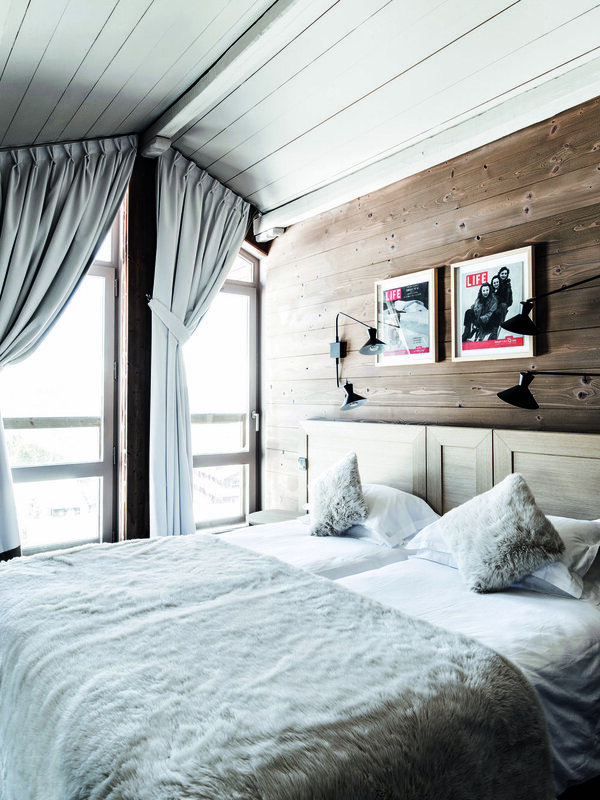 One of the original hotels in Courchevel, the Trois Vallées was built to accommodate the increasing numbers of visitors to the fledgling resort in the 1950s. Clearly, being first in gets you the best spot. Thus situated at the foot of the Stade piste, the hotel has benefitted from a refreshing modernisation throughout, including the smart Deer bar, over the past couple of years. This has resulted in a great mix of contemporary design, exposed stonework and little nods to the hotel’s 50s heritage, with original pieces by the pioneering interior designers of the day much in evidence. This theme continues in the rooms, all of which are a good size and have private balconies overlooking either the village or mountain, which range from simple Classic twins to the superb 83m2 two bedroom Prestige suite, occupying the top floor of the hotel, complete with open fire and stunning views of the resort and pistes. Meals are served either on the lovely sunny terrace, or in the stylish mezzanine dining room, while the bar is the perfect spot to unwind after a hard day on the mountain with a glass of something or other, in front of a roaring fire. For those looking for more relaxation the lower ground floor houses a very smart 'Wellness Centre' featuring a lovely stone Hammam steam room, large jacuzzi and sauna. 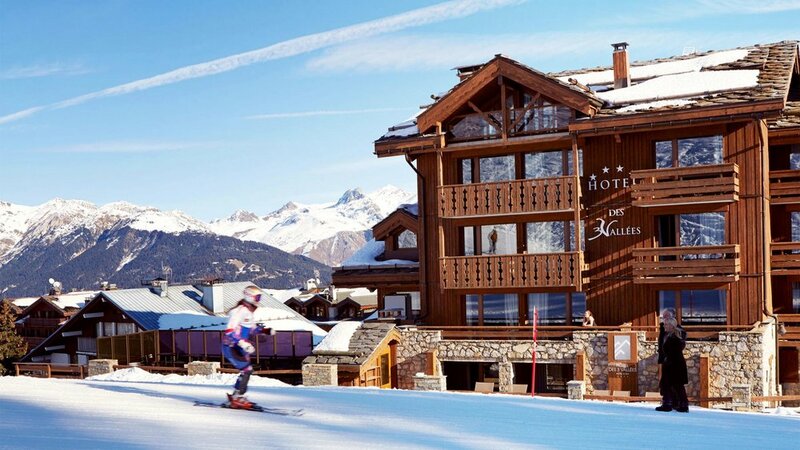 In short, anyone who is looking for a quiet, contemporary haven; wants to ski straight out of the ski room and yet be a minutes' walk from the centre of the village, should find the Trois Vallées suits them down to the ground.